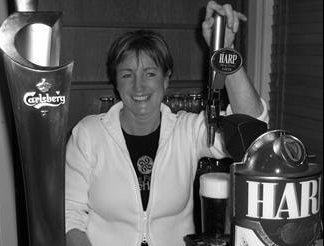 Born in Dublin in 1963 I immigrated to Canada in 1984 as a nanny and shortly thereafter joined the Irish Canadian Club. Being a stranger in a new country I was welcomed warmly into the Irish Canadian community. I have been a member of the executive since 1994 holding the positions of Building Chair, Inside Entertainment and Outside Entertainment. I have 2 daughters and currently run a home daycare and am proud to share my Irish heritage with my children and the kids in the daycare. I look forward to the challenges of being President of the Irish Canadian Club and welcome all members to come out and support your Club. You can reach me at president@irishclubhamilton.ca.